take care of your hair extensions. Hairloxx Haircare with a sense of Prosecco! For the very best care of the Hairloxx Professional Hairextensions we have developed our Hairloxx Haircare products. Free of parabens and free of fruit acids. Inspired by the fine and airy feeling of Prosecco all Hairloxx Haircare products have this scent perception. Step 1. Moisturizing shampoo. The hydrolized keratin in this shampoo ensures soft, frizz-free and manageable hair which is the 1st step of your Boost program. 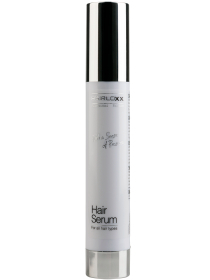 The added provitamin B5 protects the hair from dehydration and regulates the moisture balance. For normal and dry hair. Directions: apply to wet hair and rinse. Free of parabens and fruit acids. Step 2. Moisturizing conditioner. The provitamin B5 and hydrolized keratin in this conditioner is the 2nd step in your Boost program. The added Aloe Vera promotes cell renewal and nourishes your hair intensively. For normal and dry hair. Directions: apply to wet hair, allow to soak a few minutes before rinsing. Free of parabens and fruit acids. Step 1. Vitamin moisturizing shampoo. Vitamins A, B and E stimulate the production of collagen and elastin. These promote cell renewal and is the 1st step in your Intense program. Acts as a natural moisturizer. For fine and fragile hair. Directions: apply to wet hair and rinse. Free of parabens and fruit acids. Step 2. Vitamin moisturizing conditioner. The vitamin-rich blend with added keratin and proteins is the 2nd step of the Intense program. For soft, frizz-free and manageable hair. Strengthens the hair from within. For fine and fragile hair. Directions: apply to wet hair, allow to soak a few minutes before rinsing. Free of parabens and fruit acids. Step 3. Nourishing hair mask. Regular use of this mask, which is the 3rd step in your hair program, nurtures and nourishes your hair intensively. The vitamins and antioxidants promote cell growth and repair your hair. Use regularly for best results. Suitable for all hair types. Directions: apply on wet hair, allow to soak a few minutes before rinsing. Free of parabens and fruit acids. Step 2. Spray conditioner. 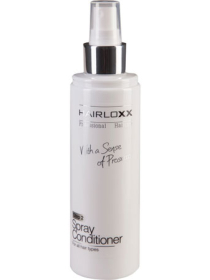 This spray conditioner softens the hair, improves combability (for both dry and wet hair) and gives the hair more shine. For all hair types. Directions: wash the hair with Hairloxx shampoo; then apply the spray conditioner on towel-dried hair. Do not rinse out the spray conditioner. Free of parabens and fruit acids. Serum for your hair. This product protects your hair from external influences and heat sources. Suitable for all hair types. Application: rub a few drops in your hands, then spread over the lengths of the hair. Do not use on the base of the hair. Free of parabens and fruit acids. TAKE CARE OF YOUR HAIR EXTENSIONS. Of course you want to brush your hair. Your long locks just deserve it. Besides being good for your scalp and hair extensions, it is even essential to brush properly. After all, you want to enjoy your hair extensions for a long time. Brush well on the scalp in order to prevent tangling. Brush at least every night before going to bed with this Hairloxx brush which has been developed especially for hair with hair extensions. 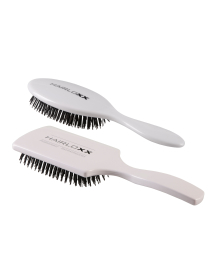 Brush at least every night before going to bed with this Hairloxx brush which has been developed especially for hair with hair extensions.